GAF 2018 – trip leader FOUND! Home / GAF 2018 - trip leader FOUND! This topic contains 8 replies, has 4 voices, and was last updated by jw 7 months, 1 week ago. An annual tradition for MWA is the Nantahala Outdoor Center’s “Guest Appreciation Festival”. NOC makes GAF a big event, with music, cool events, big sales of used gear, and of course the river itself. There is a planned release of the Upper Nantahala, which also cranks up the volume of the Lower Nantahala. This year, the event is scheduled for 28-30 September at the Nantahala NOC campus near Bryson City. The MWA GAF trip often includes catching some other river on Friday (in the past we’ve done the Nolichucky, French Broad, Chattooga, or Nantahala as a fall back), the Upper Nantahala (several laps) & Lower on Saturday, and the Ocoee on Sunday. The club usually reserves bunkhouses and members can reserve & pay for bunks on our MWA store. If you are interested in attending GAF this year, we need to know ASAP! Also, we need someone to step up to lead the trip. This is not a big deal – a few phone calls, some emails, some posts – the on-line store & on-line waivers cover most of the administrative work. I’ve led the trip the last few years, but I’m not available this year (although I might be down in the area at that time). A little more work might be to reserve a mountain cabin instead of NOC bunkhouses – the trip leader can do what they are willing to do. This topic was modified 8 months ago by jw. This topic was modified 7 months, 1 week ago by jw. bump. also, year corrected! We need a leader for THIS YEAR. This reply was modified 8 months ago by jw. i agreed to lead the GAF trip. it is coming soon. ill find out in the next day or two about bunk house availablity. i wouldnt count on it though. ill post info as i find out. there are some other campgrounds nearby. i plan to leave st louis sometime thursday evening to get down to the general area, and will be looking at river levels of stuff on the way. will try to make a decision and meet anyone who can make it to paddle friday. if you cant make it to paddle friday, meet us at NOC later that night whenever you can make it. saturday will be a release of the upper natahala. i will plan on running that. 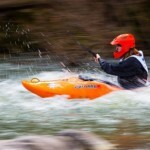 lower nantahala will also be an option if you aren’t into the upper. cascades will also be going if the upper bores you. 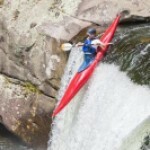 sunday i will plan on leaving NOC and heading towards home, stopping at the ocoee on the way. if you plan on going, please email me (idealelectricalservice at gmaildotcom) with your name, your ACA number, and phone number, so i can know who to expect and so i can keep in touch with plans. if you are not an ACA member, you will need to fill out a waiver and pay $5. i will hopefully have it set up to do waivers online in the next day or two as well. if not i will have paper forms. This reply was modified 7 months, 1 week ago by ScottO. as you know, i dont use facebook. can you just post on there that GAF trip is happening and put a link to this thread so they can come here to get the info please. just talked to NOC. all bunkhouses are full. if you plan on going, you will need to book a place to stay. lost mine campground is closest. nantahala tiny homes has camping and cabins, nelsons is less than 10 min away there are a lot of other places in the area. i would try to figure it out soon if you want to be close to NOC. FYI – I called Lost Mines Campground (828) 488-6445 and their recorded message said they are not open at this time due to medical reasons. They don’t know when they’re going to open, so they aren’t taking any reservations now.